BONUS: includes a 5-part course: Merging with Your Multidimensional Self in audio download with transcripts. 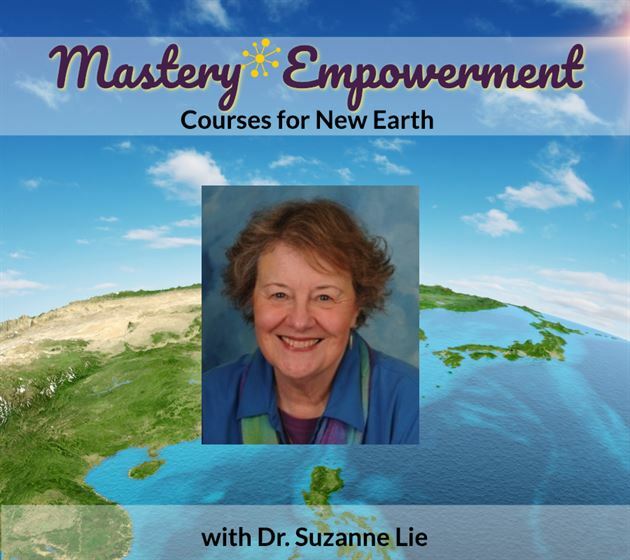 In this live, 2-session course, you’ll join with the Arcturians channeled by Dr. Suzanne Lie, as we learn how to Merge with, maintain and master our 5D energy fields. The Arcturians offer tools and techniques to Shift your energy into Higher fields of Vibration. Realize that you can shift your energy field and create a new one in any given moment. What is your 5D Energy Field? Did you choose that energy field or did you unkowingly pick it up? Notice what energy field you are experiencing. When you pick them up for others, or give them to others, consciously or unconsciously. Take a moment and look around and vibe in on the surrounding energy fields we are in. We go inside our own self to do this. The energy field we have let move into our physical body and consciousness. How to Create with the 5D Energy Field. Experience techniques to Merge with our Highest Frequency energy field we are to hold in the Now. Transmute the reality to a higher vibration. Transmute ourselves first, we have to realize it’s our energy field. Understanding we are not victims, but we take reponsibility for our own energy. Hone your awareness and master your energy field. Unconditional love to yourself and the person who triggers you. We can’t avoid the fact that we live in a 3D world alongside many who are not yet awake, so there is a way to be aware and responsible for our energy fields. With BONUS: includes a 5-part course: Merging with Your Multidimensional Self in audio download with transcripts. Then we, the members of your Higher SELF, as well as your many lives on countless timelines, worlds, galaxies and dimensions, will begin to connect like pearls on a necklace. It is through this “linking with your Higher SELF, that you will realize that your Multidimensional SELF is the pearls and YOU are the string. Does your third dimensional self perceive reality as being physical and bound by sequential time? Does your fourth dimensional self perceive reality as being of the fourth dimensional Astral Plane in which time shifts from past, present or future, but is sequential within each timeline? Can your fifth dimensional SELF perceive the higher dimensional reality which is filled with Lightbodies interacting within the HERE and the NOW of the ONE. Can your sixth dimensional SELF perceive the NOW of each reality from the perspective of the core light-matrix of every being and location. Is your eighth dimensional and beyond SELFno longer bound by form and exists as pure consciousness in different stages of returning to Source. Are all realities perceived as fields of energy, which you influence with your force of unconditional love. Meanwhile, your third-dimensional expressions are having a difficult time experiencing onlyone reality at a time. How can your physical self connect with and understand these myriad phases of countless realities? This understanding has to do with how you store information in your brain, which works much like one of your computers. The “Cloud” is huge, beyond your imagination and all the information stored there intermingles with the other information. You can easily find your own information by typing its title on your computer or other computerized device. The Cloud maintains everyone’s anonymity, meets everyone’s needs and is automatically up-graded. It is not an easy task for a ‘modern’ human to allow a humming bird to tell you why it chose that flower, or to listen to the flower that the humming bird has chosen.